SmarTasca is a practical, sturdy and transparent bag to carry smartphone, ID and some cash during rides. Water and sweat-resistant, it allows the use of touch screens. 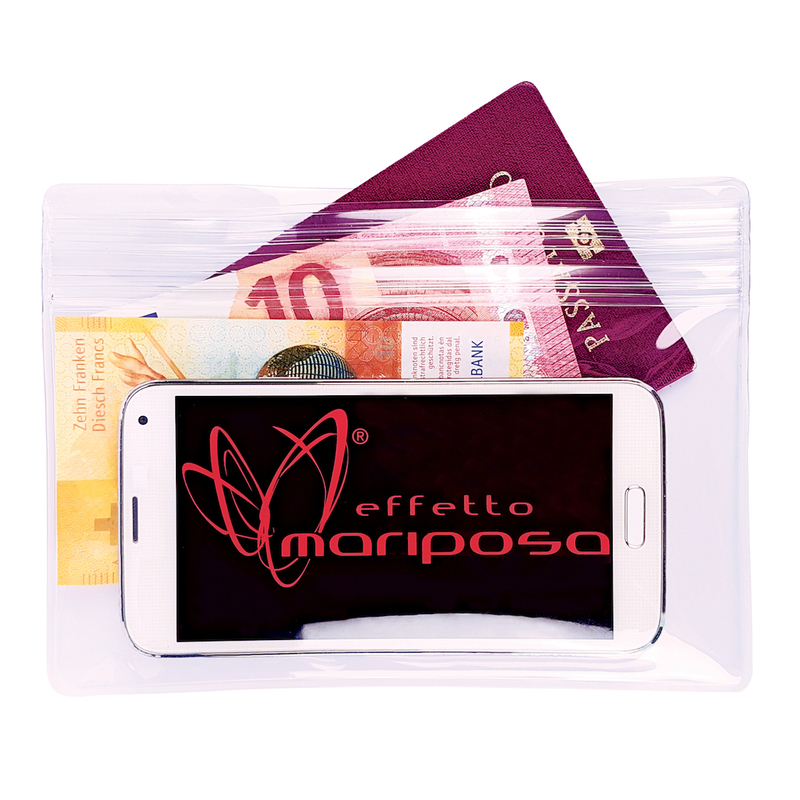 SmarTasca doesn't simply protect a smartphone and IDs from rain and sweat (for that, a simple freezer bag is good enough..), it also allows full use of touch screens, a welcome feature for a quick check and answer of messages on the go. WARNING: fingerprint recognition doesn't work through SmarTasca. In case of accidental drop, SmarTasca provides a good degree of protection against scratches and small impacts to its content. The double closure generates a double seal, much more effective to keep water and moisture outside. The upper lip of the closure is slightly raised, so that SmarTasca can be opened even while wearing light gloves. The double seal closure is designed to fold back, to keep bulk to the minimum and allow an easy transportation in the back pocket of the jersey. M: 180 x 100 mm. SmarTasca is intended to carry the bare minimum needed for a ride: phone, documents, cash and perhaps home and car keys. Two versions, S and M, are intended to satisfy different transportation needs, as shown in the picture above.